Our belief at Dolce Floral Design is that our flowers should be created with the same ideals; to orchestrate elegant, sweet, and stylish designs for each event. Dolce has been actively involved in the wedding floral industry. It was founded and is operated by Jamie Chae AIFD who has been serving the metro Sacramento area since 2005. 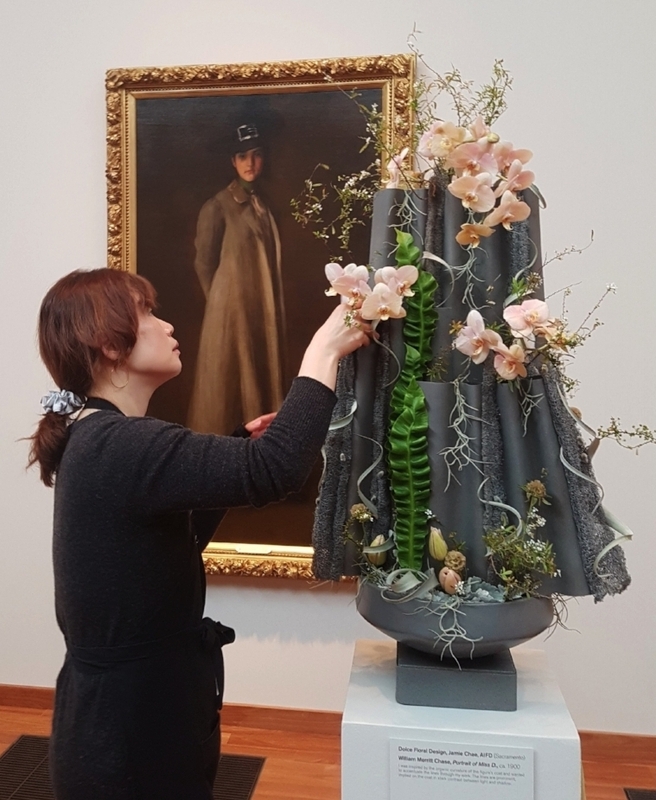 Jamie Chae, owner and senior floral designer at Dolce Floral Design, started her career in the industry by studying floral design from the City College of San Francisco (CCSF). While studying, she was awarded at the AIFD National Student Competition in several different categories: bridal bouquet, buffet table design, people’s choice, and overall. In 2009, the California State Floral Association (CSFA) named her as one of California’s Top Ten Designers and in 2010, Jamie became an inducted member of the American Institute of Floral Designers (AIFD) and was invited to feature her designs at the AIFD National Symposium in Boston, MA. In 2013, Jamie was recognized as an AIFD Certified floral design evaluator/judge and has been invited as a judge for the national and regional floral design competitions.